When President-elect Donald Trump sent his talent scouts to the attack-dog kennel run by defense industry giant General Dynamics, in order to recruit former Marine General James “Mad Dog” Mattis to be secretary of defense, cries of apprehension were drowned out by smug one-percent reassurances. Those who “know what’s best for the country” insisted: “NOT TO WORRY; actually Mattis is a Renaissance Man. Yes, he thinks, and says, it’s fun to shoot people. But after taking a hot shower in the evening, he reads Greek epic poetry. Mattis was asked what about civilian casualties. Worse still (if there can be a “worse still”), Mattis reportedly is weighing how many thousands more troops from the US poverty draft to send to – hold your breath – AFGHANISTAN! Instead of reading Homer and reflecting on the Trojan War 33 centuries ago, Mattis ought to fast forward and read more “modern” history on Afghanistan. He might fast forward to “just” 27 centuries ago, when Alexander the Great made, but did not follow through on, an abortive attempt to conquer Afghanistan. “Abortive” is the key word here. He faced stiff resistance from the locals, who for some reason did not like being invaded and lacked the respect due the “sole superpower the world” of those times. Alexander was smart enough to realize that he had bit off more than he could chew. He brought his army back west, before many more of them got killed, to where he knew what he was doing. On that count alone he deserves the moniker “Great.” Unlike those who have tried to conquer Afghanistan in the 22 centuries that followed, he decided the game was not worth the candle. The corollary, of course, is that some things DO happen to be well nigh impossible – and, as such, not worth the cost of trying for some dimly perceived, nonessential gain. In the centuries that followed, many powerful “statesmen” – powerful, but not so “Great” in terms of knowing when to avoid trying the impossible – have attempted to subdue those incorrigible tribes in Afghanistan. The long, sad, fools’ list includes: Arabs, Mongolians, Persians, Indians, British, Russians – and now Americans. 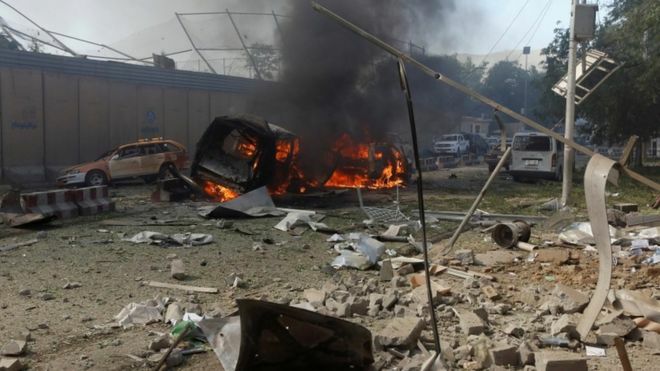 The bomb blast last night in Kabul that killed more than 80 and wounded 300 will probably tempt Mattis and his delusional boss to lash out militarily. That could include the next surge in the fool’s errand into Afghanistan. It would be a piece of what Mattis’s predecessors browbeat the benighted Barack Obama into doing as soon as he came into office, playing on his campaign rhetoric that Afghanistan was some kind of “good war,” in contrast to the one in Iraq. Since greeting WBTE (Wet-Behind-The-Ears) Barack Obama in March 2009 with a piece titled “Welcome to Vietnam, Mr. President,” I have tried to keep at it. The effort runs no risk of getting boring, given the high stakes involved. A lot of people are dying – just a small portion of whom are the American “heroes” celebrated over the weekend as “the fallen; the lost.” (They were neither lost nor fallen; they were pushed to death – many of them with the help of a supremely unjust poverty draft). Maybe someone can give him a history book about Alexander the Great and how it was not such a bad idea to “chicken out” and withdraw from Afghanistan. 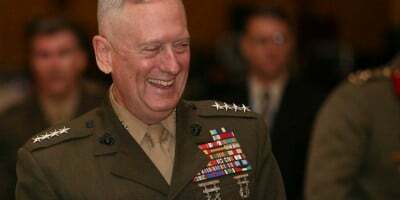 He could be told that history would be happy to call him “Mad Dog The Great,” should that appeal to him. He desperately needs to educate himself on the indomitable folks in that poor country (and their equally determined supporters across the border in Pakistan). Please, someone suggest to Mattis that it would be “Renaissance-Man-like” to follow Alexander’s example and avoid confronting the impossible – even aside from the human and other costs – when it is “a fact of life” that neither the strategic stakes nor “military necessity” warrant it. It would be nice, too, if one of his aides could replace Homer with one or two of the following articles under his pillow – on the chance he can be brought to realize that it’s not “fun” – just dumb – to go around shooting people. And that that goes in spades for Afghanistan. Ray McGovern works with Tell the Word, a publishing arm of the ecumenical Church of the Saviour in inner-city Washington. He was an Army Infantry/Intelligence officer and CIA analyst for a total of 30 years and now servers on the Steering Group of Veteran Intelligence Professionals for Sanity (VIPS). Reprinted with permission from his website.